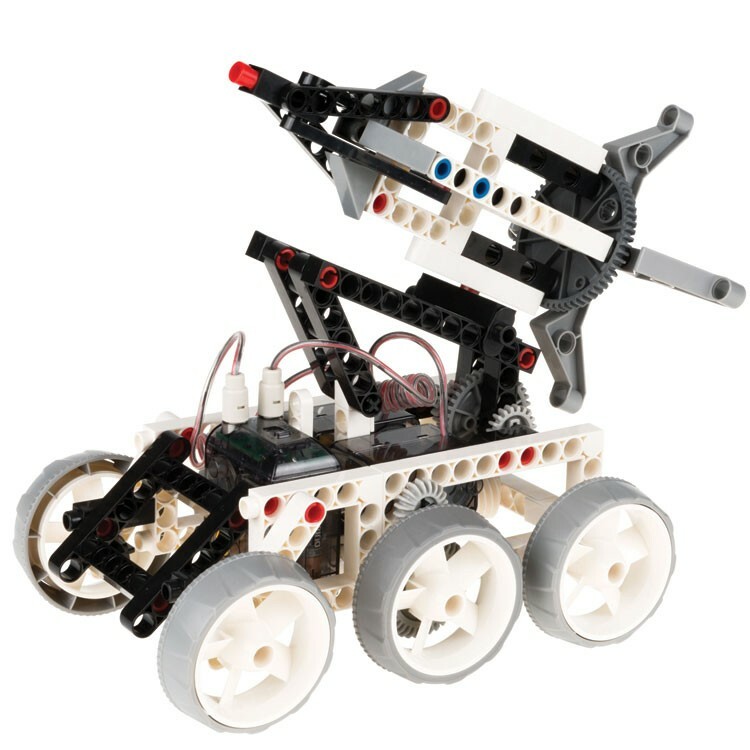 Build 10 space explorer robotic vehicles and send them to the backyard or playroom planets to make out-of-this-world discoveries. 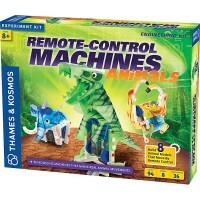 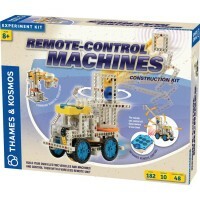 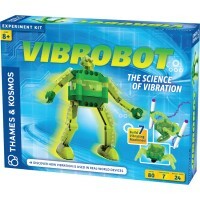 The bestselling award winning Remote Control construction science kit by Thames & Kosmos recently added another awesome edition - space themed toy! 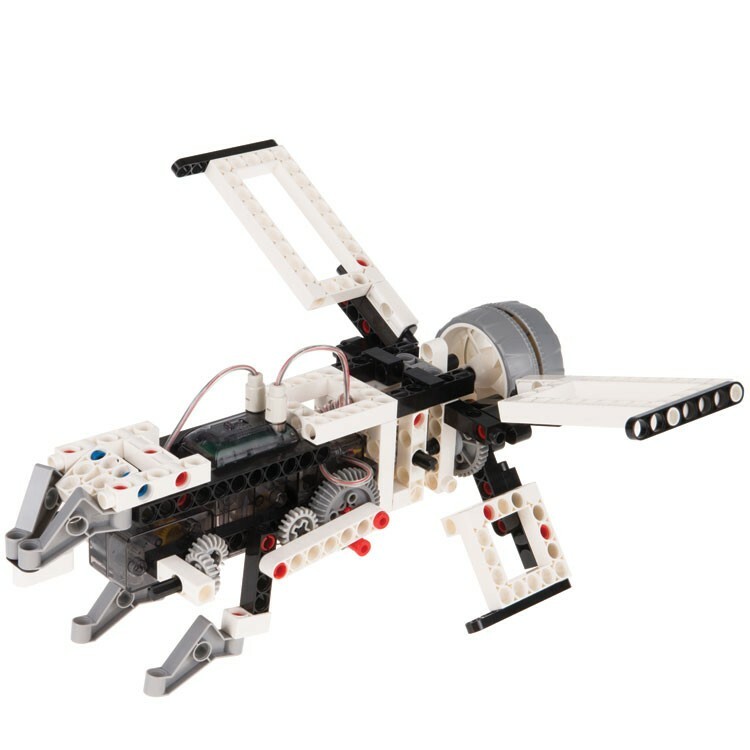 Remote Control Machines Space Explorers Science Kit includes 237 building parts to create 10 space theme vehicle models that will be ready at once to explore the fields of any planet. 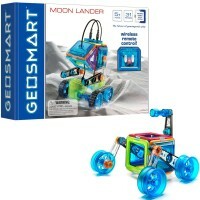 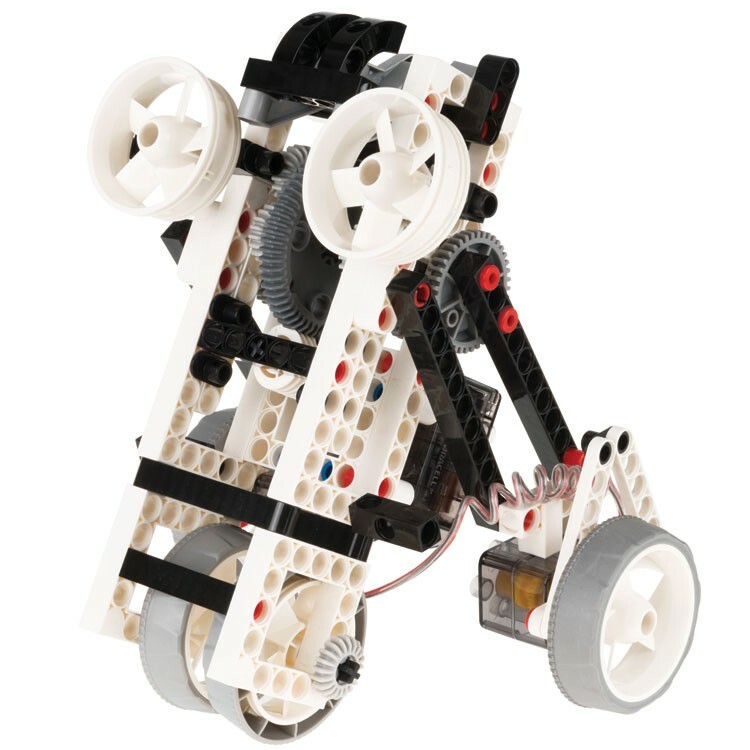 Build a remote controlled robotic rover to make discoveries on Mars, pick up moon rocks with the robotic arm, or navigate the planet terrain back and forth. 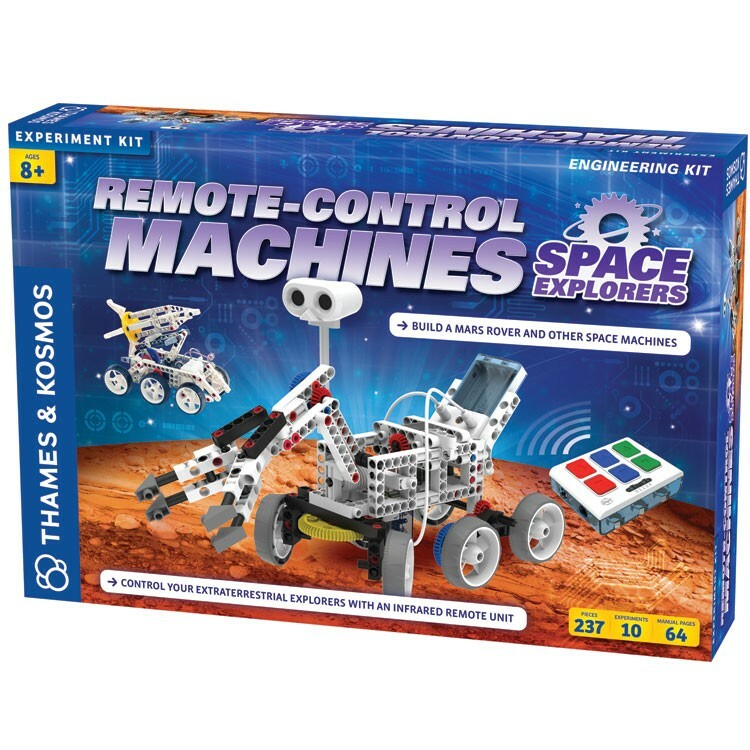 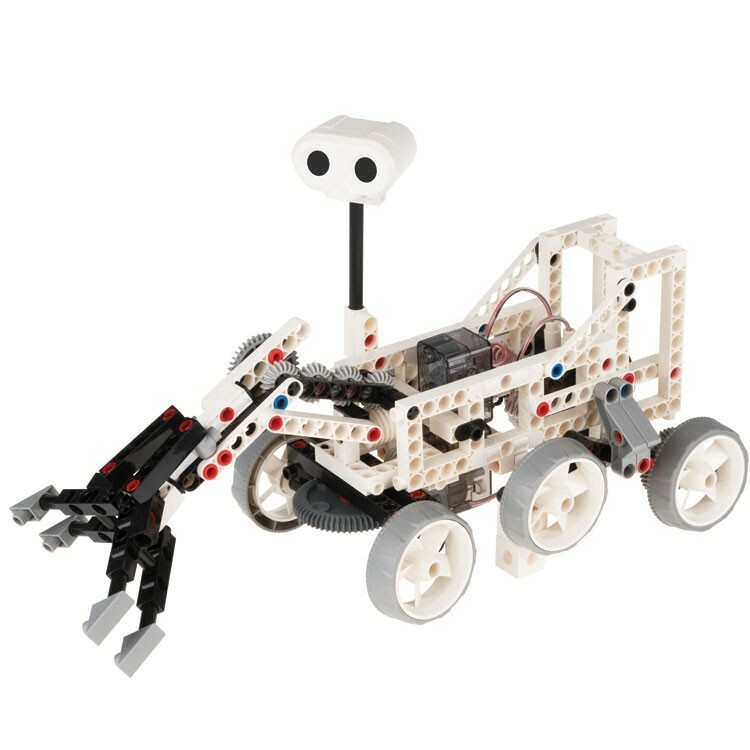 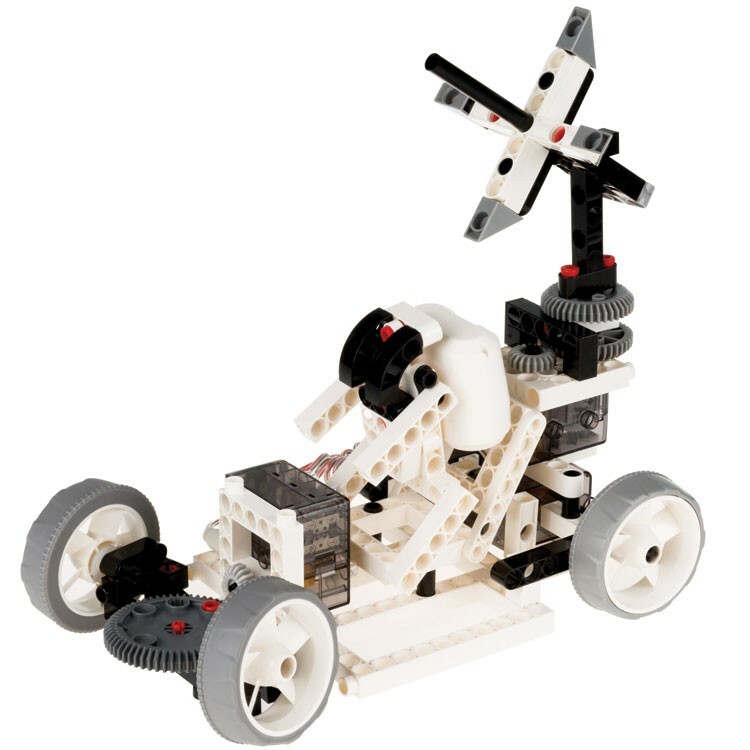 Build a lunar rover, rocket car, space shuttle, moon lander, astronaut humanoid robot, satellite, cross-wing flyer and more with the Remote Control Machines Space Explorers Science Kit. 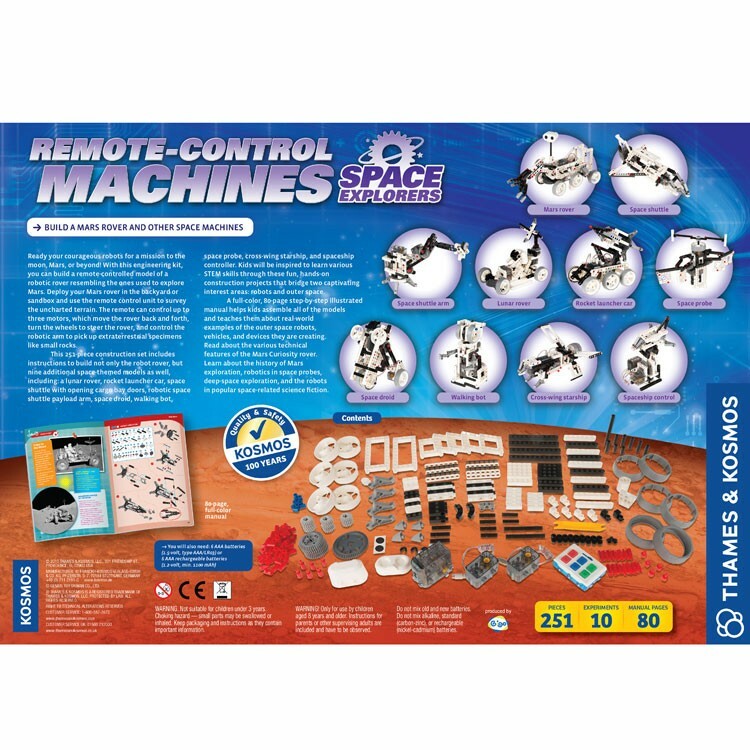 This space machines building kit from Educational Toys Planet comes with 64-page illustrated manual that teach the young space engineers about real world space machines. 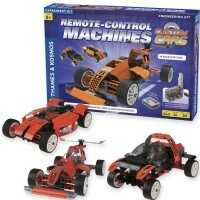 With the assembled space vehicles you can start space exploration in the backyard or nearby park. 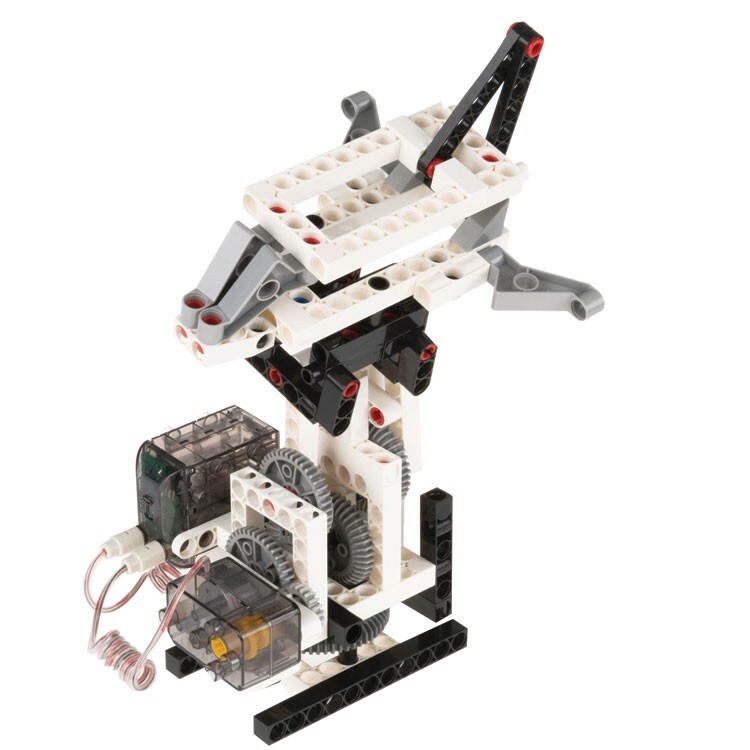 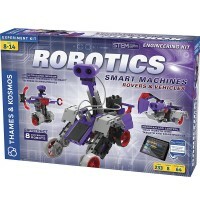 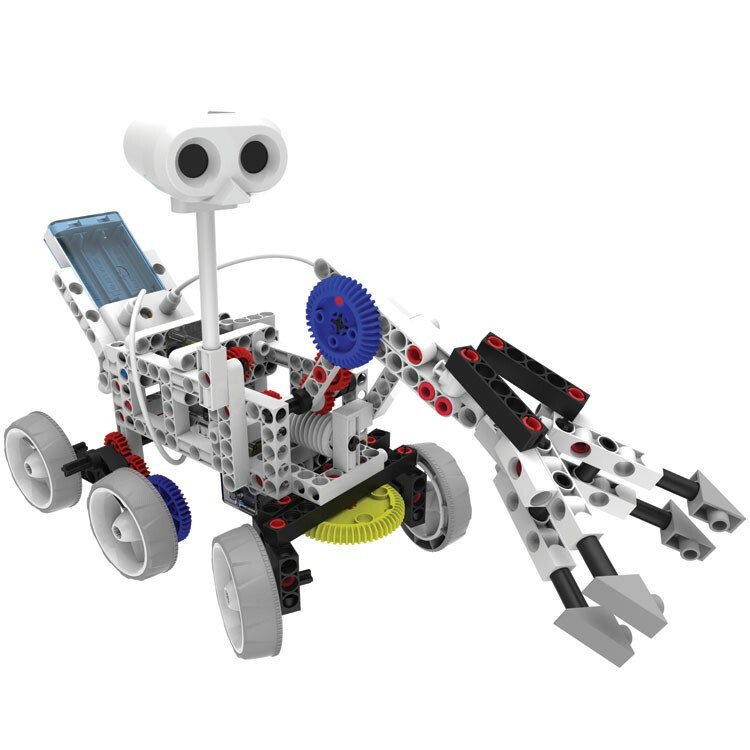 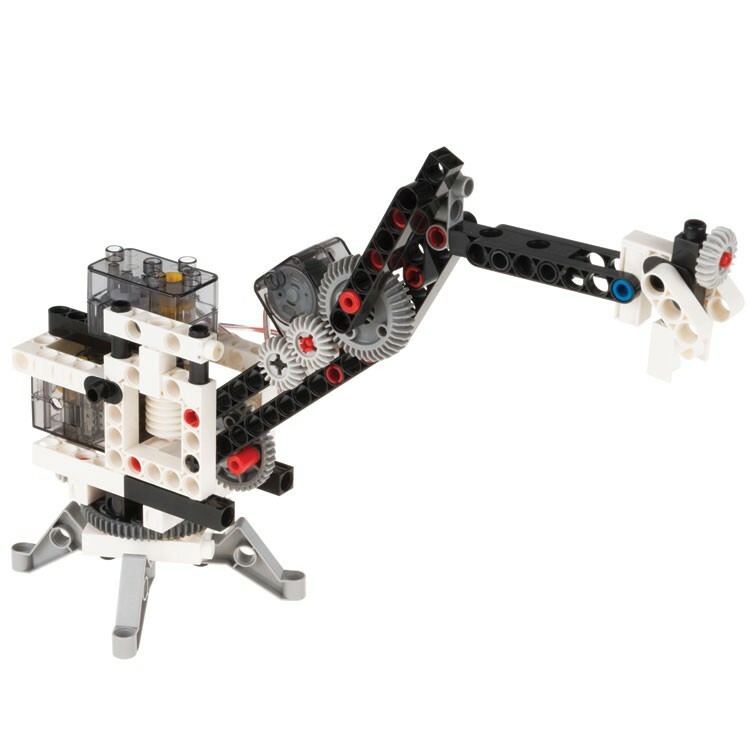 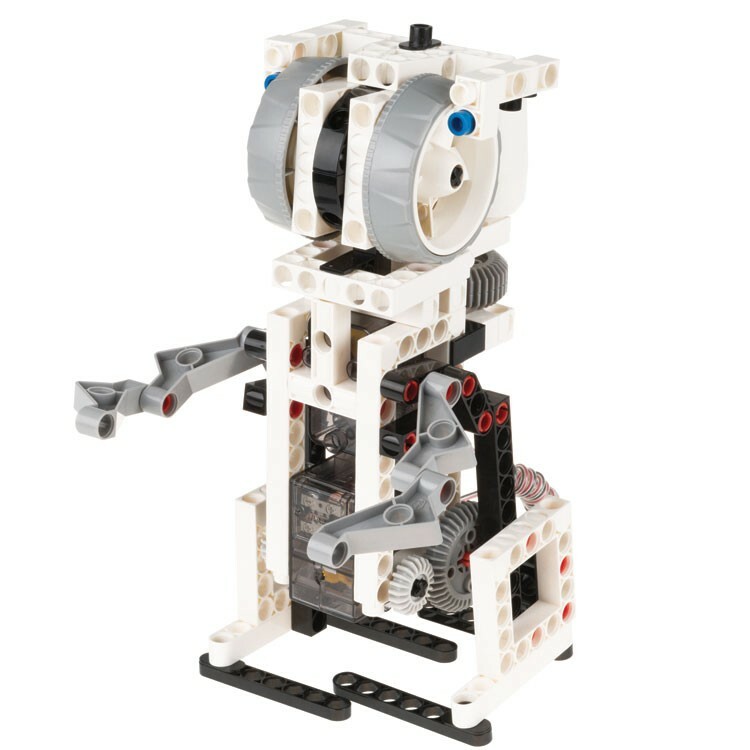 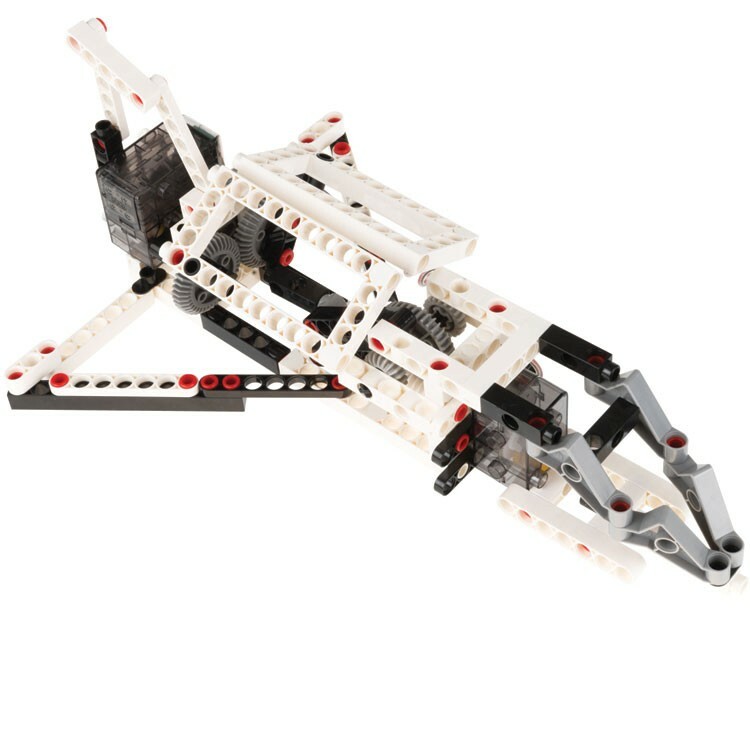 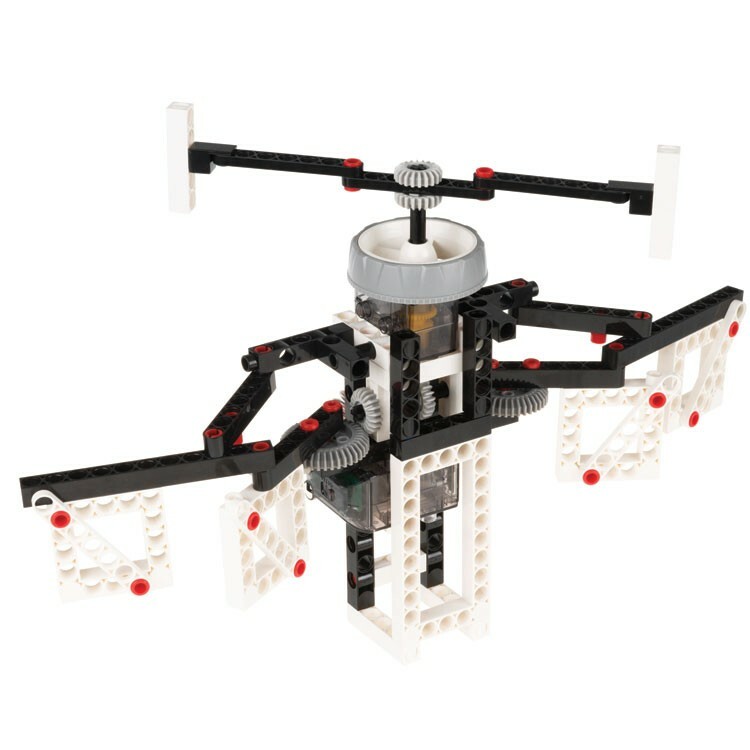 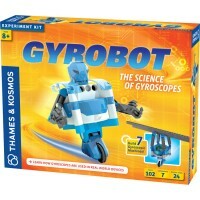 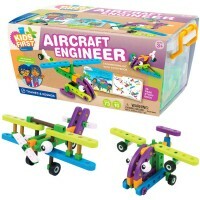 This unique hands-on engineering set is an ideal gift for older children who are fascinated by robots and outer space. 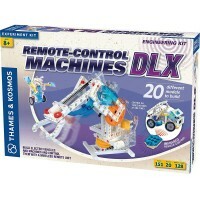 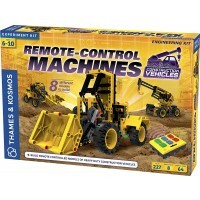 Dimensions of package 11.5" x 16.8" x 3.2"
Write your own review of Remote Control Machines Space Explorers Science Kit.